On 18th January 2018, 3pm CET BlueBRIDGE hosted the webinar: "Managing tuna fisheries data at a global scale: the Tuna Atlas VRE" that presented how, through the Tuna Atlas Virtual Research Environment (VRE), users can easily produce their own datasets of fisheries at regional, multi-regional or global scale and how they can share these datasets in ways that allow other users to access, process and visualise them efficiently. The webinar was successful with 46 attendees from around Europe. Good management of fisheries stocks relies on good scientific advice. Assessing the status of the stocks requires the analysis of multiple data, often produced or collated by various organizations. In absence of efficient ways to locate, access and combine these datasets, their use might be limited to only few scientists. However, the more scientists use the data, the better the scientific advice is likely to be. How to enable scientists locate and access the relevant data? How to help them crossing and analyzing the data that comes from various sources? How can they share the results of their work in efficient, transparent and reproducible ways? Tuna fisheries are a good case study: though global, they are managed at regional scale - and so are the associated data with different data structures. We have collated, harmonized and stored within a single database the multiple public domain datasets coming from the various organisations that manage the fisheries. In this webinar, we presented the Tuna Atlas VRE that uses the example of the Tuna fisheries to answer these questions related to open science and reproducibility. We presented how, through the VRE, users can easily produce their own datasets of tuna fisheries at regional, multi-regional or global scale. We also showcased how the VRE enables you to share these datasets in ways that allow other users to access, process and visualize them efficiently. Last but not least: because new data are always produced - as long as there will be fisheries, there will be data - it is crucial to be able to update the database periodically. We demonstrated how we ensure the reproducibility of the work. Paul Taconet has been with IRD in engineering study since August 2015. Prior to that he worked in the Nature Reserve of the French Southern Lands as a database manager and geographic information systems (GIS) expert. 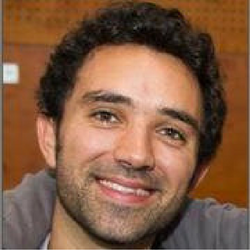 He has working experiences related to the management of geospatial data at the European Space Agency, the IFAD, and the Urban community of Le Havre (France). In 2012, he graduated from the University of Technology of Compiegne with an engineering degree in Environmental engineering and Planning with a focus on GIS.